Learn how to work with influencers! For a couple of years now, people have been obsessed with the term “influencer.” Even though it’s not a new thing, and it existed long before social media, it’s still quite a hot topic and an alarming buzzword in the marketing community. Collaborating with influencers can provide an excellent return for those who engage in it if they do it properly. Most social media influencers these days are making the most profit from Instagram and YouTube, but depending on a niche of your business, you can work with influencers on Facebook, Twitter, LinkedIn, Snapchat, etc. 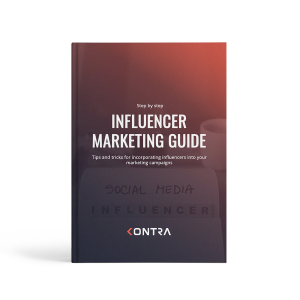 Download this free ebook in an easy-to-read form (31 pages) and start working with influencers.